John Newton, who refereed the 2000 World Championship final, has died. John was cheerful, dedicated and always professional. He hailed from Lostock in the North West and was widely respected by players and his fellow officials. Indeed, when he retired from refereeing he became an official assessor. Sympathies go to his family and his many friends in snooker. May he rest in peace. Sounds like he was a good man. John was a good man and a referee who did his job professionally without looking to appear in the spotlight. 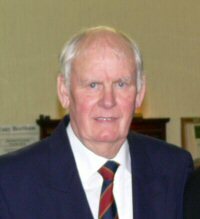 RIP to one of last of the old school referees of snooker. John was my friend,a good snooker player and a true gentleman. Goodbye to a true sportsman and old school referee. RIP. It was my 1st civi job as an instrument tech. He showed me the ropes and shared the next bench to me. Fond memories of playing cricket behind the workshops during our dinner breaks. A great guy, and will be sadly missed.I never saw him again after I left in 67, until seeing him refereeing snooker on TV. GOD BLESS Terry Duerden.